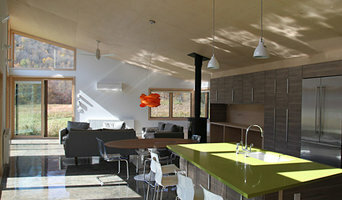 We design exceptional, low carbon homes delivered on time, and on budget. By integrating the design and construction processes and seeking collaboration on each step along the way, we ensure that the house we design is right for you. We can help you integrate principles of passive design and low carbon living that enhance your way of living—but we also believe that low carbon homes shouldn’t be boring or bland. We create artful, bright, inspiring houses that are designed with soul, and constructed with teamwork. That they also happen to be cleaner, smarter and more sustainable is the benefit to working with Harry Hunt Architects. About the Owner: Harry L. Hunt, principal of Harry Hunt Architects, is a designer and maker of things like no other. 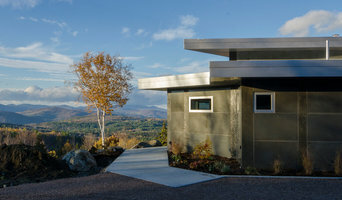 Since opening his Stowe, Vermont-based architecture office in 2005, Harry has worked in and across a wide range of contexts—from commercial and residential buildings, to urban planning, interiors, and landscapes. With over three decades of experience in architectural design, engineering, and construction, Harry balances a strong sense of aesthetics with cutting-edge building science and practical construction know-how. Harry is a member of the American Institute of Architects (AIA), and is a Leadership in Energy Efficient Design (LEED) accredited professional through the United States Green Building Council. He is certified with the Passive House Institute (PHI) in Darmstadt, Germany, as a passive house designer. He is also registered with the National Council of Architectural Registration Board, and is a registered architect in Vermont. 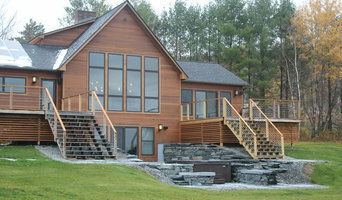 ArroDesign is a small, unique construction company located in the heart of the Green Mountains in central Vermont with an international reach. ArroDesign specializes in the design and construction of unique homes in the Mad River Valley (and beyond) and the construction of larger scale public and civic projects. Over the past several years, the company has been focused on developing and incorporating innovative concrete construction techniques to address issues of durability, sustainability and structural expression. ArroDesign president, Sandy Lawton, specializes in concrete designs that push the boundaries of what many consider possible. He is changing the way people view concrete in terms of beauty and sustainability while educating them on the benefits of Fabric Formwork. Instead of using rigid forms made from lumber, plywood, cardboard, steel or aluminum, fabric forms use a flexible textile membrane to form concrete in place. Fabric formwork basically reduces the amount of everything required to construct something – placement, storage and even building the forms. There are huge savings every step of the way. For the most part, we work on one project at a time with a small palette of materials and craft as much as we can on site in order to involve the clients in the process in a more intimate way. We work with owners, architects, engineers and builders. 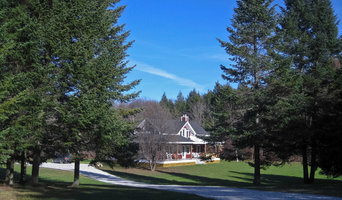 The McKernon Group has been designing and building a variety of unique homes and small businesses throughout Vermont and upstate New York since 1987. Our company assures every client a high level of professionalism, efficiency and craftsmanship. The McKernon Group is an environmentally responsible design/build company that encompasses a wide variety of construction styles. The company was founded in 1987 by former owner, Jack McKernon, and his partner, Kevin Birchmore. Expanding the business to its present status, Jack retired in 2011 at which time, Justus Cameron joined Kevin as part-owner of The McKernon Group. Our company’s reputation is based on distinctive home designs, quality workmanship and customer service. With nearly 50 employees working in various capacities, we go well beyond the typical profile of a residential construction company. Follow us to stay up-to-date with our work! Nancy Leary Design specializes in quality residential design for new construction, additions, renovation and historic restoration projects. 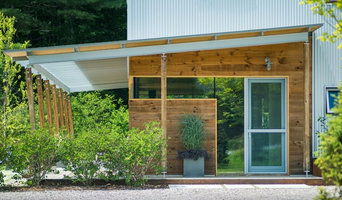 Drawing from classic New England building forms, while using contemporary design solutions and green building practises the clients' diverse needs are thoughtfully included in each unique project. Timberhomes LLC is a construction partnership based in Vershire and Montpelier, VT. We specialize in building homes with soul, and timberframed structures that celebrate the forests' innate character. REY Architecture is a boutique firm focused on creating small + brilliant homes for effortless living. Vermont Vernacular Designs has some special qualities we hope you'll consider as you choose a designer/builder for your project. Clients call us "knowledgeable," "responsive", and "hardworking." We call clients "friends." History is our guide and Vermont our inspiration. Our respect for the architectural vocabulary of Vermont is apparent in the form, scale, proportion, and detail of our projects – the hallmarks of good traditional design. Step inside a home built or renovated by VVD and you'll find an interior that honors its classic roots while meeting the needs of modern living. We continue the marriage of beauty and practicality that motivated the best of Vermont's 18th and 19th Century builders. And we do all of this while employing current construction practices and the latest energy efficiency technologies. VVD's clients are collaborators and friends. We're proud of the houses we have built or restored and equally proud of the positive relationships that we have maintained with our clients. The VVD family expands with each new project. As one client put it, "Thank you for our awesome house! You took our ideas to heart and created our dream space. We wouldn't change a thing. We really appreciate all of the hard work and your responsiveness to our needs and questions." Call, write or email to talk to us about what you have in mind for your home. You can also order a portfolio of VVD's original designs by sending a check for $35 to VVD.